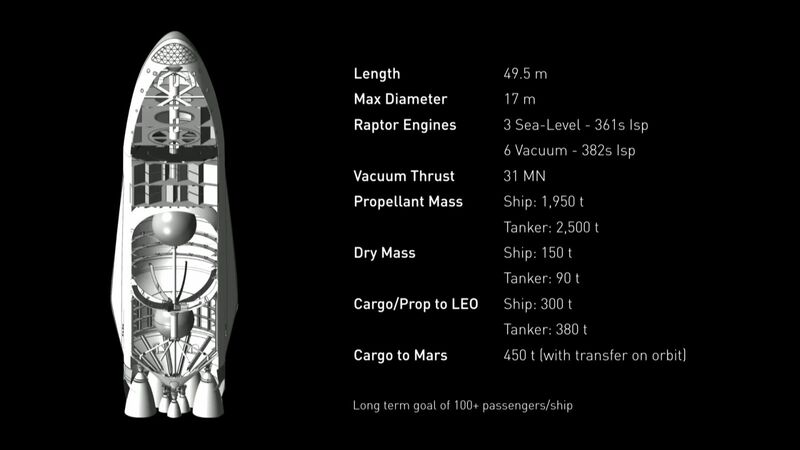 SpaceX has overcome "the hardest" part of building its Mars rocket. Mars just got a step closer for SpaceX this week. On Wednesday, Elon Musk’s venture space company announced that it successfully tested the liquid oxygen tank (LOX) for its Interplanetary Transport System (ITS). The huge piece, which looks like a giant black orb, is critical for its Mars spaceship. In a tweet, SpaceX confirmed that the test “[h]it both of our pressure targets.” The LOX is a fuel tank made of carbon fiber and has a diameter of roughly 12 meters (about 40 ft). According to ITS plans from SpaceX, the LOX will be fitted in the rocket’s upper stage. In an October 23 Reddit AMA, Musk said that SpaceX will “take [the tank] up to 2/3 of burst pressure on an ocean barge in the coming weeks.” Last Wednesday’s tweet confirmed that this was actually done successfully. Ever since his announcement last September, all curious eyes are on SpaceX as it seems to take the lead in bringing humanity to Mars. While it isn’t the only Mars program in development, with NASA having its own and Boeing recently joining the race, SpaceX’s plans appear to be the most far along of the bunch. SpaceX understands the importance of getting the LOX right, as the company isn’t unfamiliar with fuel tank mishaps. Soon, as the tweet also announced, SpaceX will move to “full cryo testing” for the LOX.